The Arendelle Flantastic Seven in Kingdom Hearts 3 is one of seven pudding-like Heartless you can find in the game. Finding it is a bit of a problem in and off itself. Then, the question becomes how to exit the KH3 Arendelle Flantastic Seven location. Because, well, sometimes things just have to be complicated. 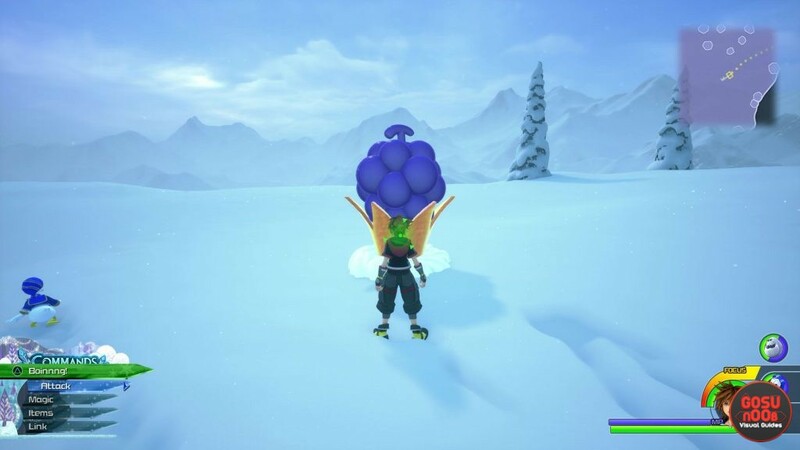 With that in mind, check out our Kingdom Hearts 3 Arendelle Flantastic Seven – How to Leave Area guide to help you get out after you’re done with the flan monster. How to Exit Flantastic Seven Location in Arendelle in Kingdom Hearts 3? To exit the Flantastic Seven area in Arendelle, you have to basically do the same unintuitive move you did to get there. In case you didn’t know, to get to the Flantastic Seven location in Arendelle, you have to fling yourself of a cliff. The only clue is a vague cone that shows you that there’s something there. For more specific info, check out our Arendelle Flantastic Seven Location & Tips guide or our Flantastic Seven Locations & Rewards guide. Anyway, once you get to the pudding monster and start the mission, you’ll have to kill as many tiny flans in the allotted time. It’s not that big of a deal, really; just use magic and link attacks and attractions to pulverize as many of them as possible in one go. You can simply replay the mission as many times as you want to get things done. Once you’re done, the question becomes how to leave the place. Turns out, you have to go behind the crown with the fruit on it, and do another leap of faith. Just walk to the edge of the cliff and keep an eye out on the map in the corner. You’ll notice another vague cone shape that basically tells you it’s safe to jump off. When you land, you’ll be back in the Snowfield area. So, that’s how you exit the Flantastic Seven area in Arendelle. In case you need help with anything else in the game, please feel free to check out some of our other guides. Among many others, we have Writhing & Hungry Crystal, Gem, Stone, Shard Locations and Secret Ending Requirements – How Many Lucky Emblems.